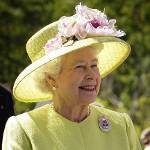 The Queen's Official Birthday is celebrated in most Commonwealth countries. In the United Kingdom, the sovereign's birthday is officially celebrated on the first, second, or third Saturday in June, although Queen Elizabeth II was born on April 21. Other Commonwealth realms may celebrated it on other days. The Monarch's birthday was first celebrated in the United Kingdom in 1748. The celebrations were originally held on the Monarch's actual birthday. However, when King Edward VII ascended to the throne, he changed the date. The matter was that the King was born on November 9 so he decided to move the official celebrations to summer in the hope of good weather. His successors decided not to change the date back. In the United Kingdom, the Queen's Official Birthday celebrations typically include the ceremony of Trooping the Color, also referred to as the Queen's Birthday Parade. It is not a public holiday as it is always celebrated on Saturday which is not a working day for most people. Many Commonwealth countries chose their own dates to celebrate the Sovereign's Official Birthday, but all these dates are generally around May or June. In some countries, it is an official public holiday. Celebrations typically include military parades, firework displays and release of the Queen's Birthday Honors List. In New Zealand, Niue and the Cook Islands, the holiday is held on the first Monday in June. In New Zealand, there have been proposals to rename it after Edmund Hilary (the first person to ascend Everest) or replace it with Maori New Year as a public holiday. In Australia, the Queen's Official Birthday is observed on the second Monday in June, with the state of Western Australia being an exception. The holiday has been celebrated in Australia since 1788. Today, it also marks the beginning of the ski season as June is the first month of winter in the Southern Hemisphere. Papua New Guinea, Tuvalu, the Solomon Islands, and Turks and Caicos also celebrate the holiday on this date. Gibraltar, Montserrat, Anguilla, and the Cayman Islands celebrate the Monarch's official birthday on the third Monday in June. The holiday also used to be celebrated in Fiji, but it was abolished in 2012.